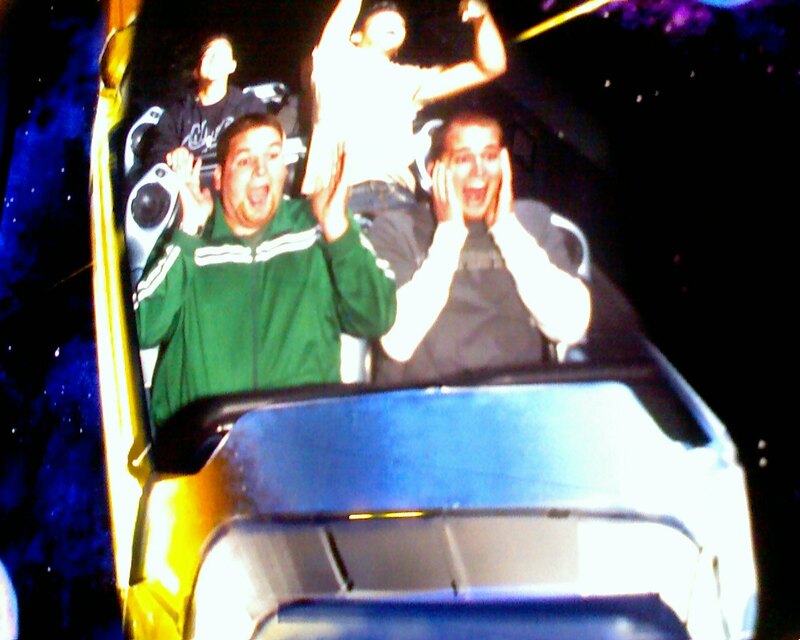 My favorite ride in disneyland was probably Space Mountain. It was so much fun. Here is a picture of Scott and Myself. Clearly you can see we were enthralled.